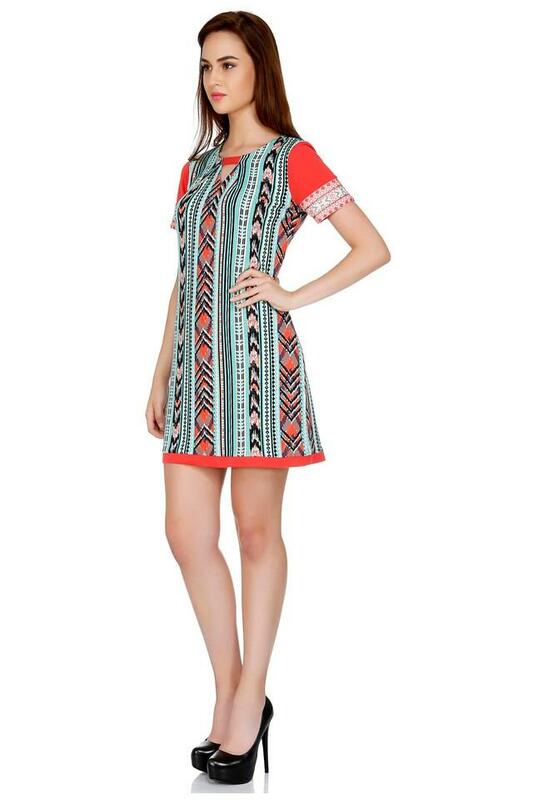 Give your regular look a stylish makeover with this shift dress from Fusion Beats. Made of polyester fabric, this dress is extremely stylish and will upgrade your fashion quotient in an instant. 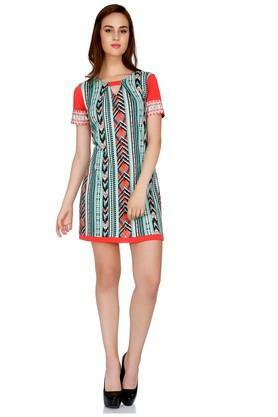 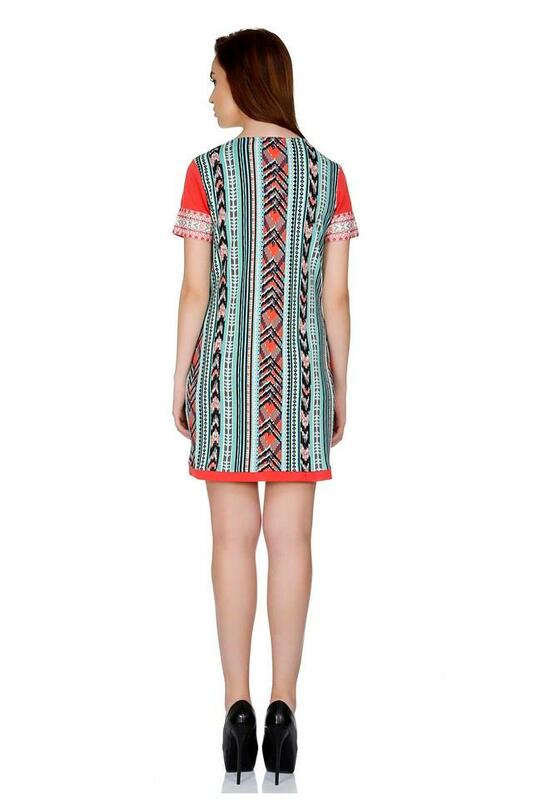 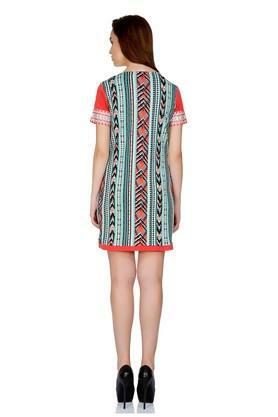 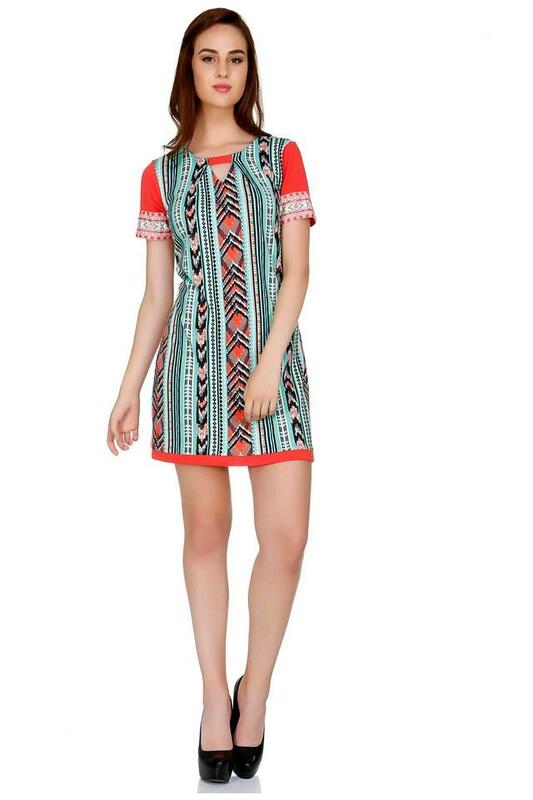 Featuring a round neck, half sleeves and printed pattern, this shift dress possesses a fashionable enticement.